Welcome to the ATS Behavioral Science and Health Services Research Assembly. Our Assembly is home to research patient and provider education, medical education research, psychology, adherence, clinical epidemiology, statistics and psychometrics, health disparities, health systems research, health economics, comparative efficacy and effectiveness research, patient-centered outcomes measurement and research, performance measurement, quality improvement, population health and implementation science. Members of the Behavioral Science and Health Services Research Assembly have clinical and research interests in all three pillars of the ATS: pulmonary, critical care, and sleep. Our assembly welcomes and actively supports trainees, clinicians, researchers and other health care professionals who are interested in behavioral sciences and health services research applied to pulmonary, critical care, and sleep disorders. Please feel free to attend our annual meeting. We welcome you to choose the Behavioral Science and Health Services Research Assembly as your primary assembly, or as a secondary assembly. You can designate up to two secondary assemblies, and there is no additional cost when you add a secondary assembly. The Planning Committee is responsible for developing the long-term strategy of the Behavioral Science and Health Services Research Assembly. It is the place where members can have input into future projects and activities. The chair of the Planning Committee is Curtis H. Weiss, MHS, MD. The Program Committee is responsible for organizing the Behavioral Science and Health Services Research Assembly Program of the International Conference. Clinical topics, clinical workshops, evening and pre conference postgraduate sessions and the review and organization of presentation of abstracts are the major activities of this committee. The Chair of this committee is Michelle Eakin, PhD. The Nominating Committee is responsible for nominating candidates for Chairs of International Program Committee and the Behavioral Science and Health Services Research Assembly. The Chair of this committee is Chris Goss, MSc, MD. The Web Committee provides oversight for the Behavioral Science and Health Services Research Assembly webpage. It oversees assembly journal clubs, webinars and provides content for the website. The chair of the committee is Ann Chen Wu, MPH, MD. The Executive Committee provides oversight for all Behavioral Science and Health Services Research Assembly functions. It convenes monthly to discuss Assembly issues and to foster the development and integration of all Assembly activities. 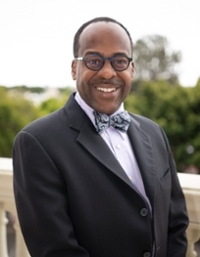 The chair of the committee is J. Daryl Thornton, MPH, MD. Please feel free to contact any of the Assembly officers if you have any questions or wish to become involved in the Behavioral Science and Health Services Research. Please send your comments to the BSHSR Assembly at bshsr@thoracic.org.